Gov. 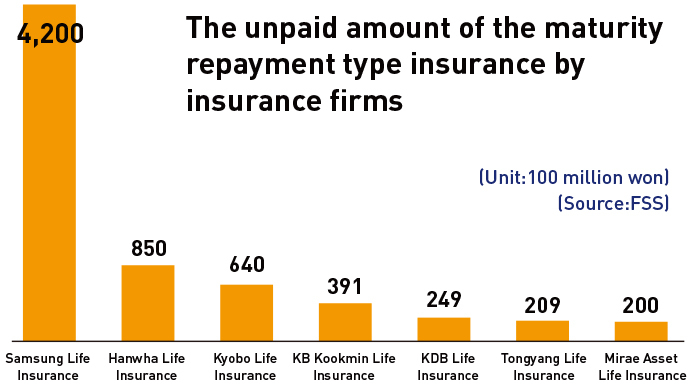 Yoon Suk-heun of the Financial Supervisory Service (FSS) cautioned that financial firms should never turn over risks to customers while commenting on Samsung Life Insurance Co. and others paying minimum amounts of the retirement immediate annuity. During an interview he held on the occasion of marking first 100 days in office, he said it is only natural that the consumers that suffered losses from the same insurance product that they subscribed to get the same reimbursement. He said it is awkward that the consumers who raise questions get saved, adding that a special investigation can be made on Samsung Life if necessary, even if the FSS faces criticism. Financial Supervisory Service (FSS) Governor Yoon Suk-heun reiterated that the financial regulator will continue to place top priority on protecting consumer rights. "Consumer confidence in the nation's financial firms has deteriorated continuously. The FSS will not tolerate any activities allowing mistreatment of consumers," Yoon said a media conference held at a local restaurant in Seoul, Aug. 16. "I believe this could be an opportunity to reform the industry's old practices and regain customer trust. The FSS will actively engage in necessary measures to do so. We will push for a general inspection (on Samsung Life) even if we are criticized." His remarks targeted Samsung Life and Hanwha Life Insurance. The two insurers defied a recent recommendation by the FSS to compensate policyholders over service fees not mentioned in contracts. Of them, Samsung Life even filed a suit against one of its policyholders that claimed the insurer overcharged them and didn't pay a fair annuity. Yoon strongly denounced Samsung Life's move during the media conference. Last month, the financial regulator concluded the two insurers deducted part of payouts as working expenses without specifically mentioning it in their contracts. Based on that conclusion, the FSS ordered the two insurers to compensate other customers holding the same kinds of insurance policies. Separate from his firm stance in consumer protection, Yoon admitted the reality he has faced as head of the financial regulator was different from how it looks from the outside. There have been mounting concerns among financial circles about Yoon's strong will for reforming the nation's financial industry. He even said last month he would "wage a war" against financial firms if necessary for the reform. During the recent press conference, however, Yoon seemed to ease his hardline stance. "I used to criticize some financial firms and regulators harshly when I was a scholar. Things are changed as I am now FSS head," Yoon said. "It is now inappropriate to speak freely about government policies and financial firms due to my role and accompanying responsibilities." Yoon also took a step back from his previous position on the separation of industrial and financial capital. He used to claim the government and financial regulators should tighten related laws about their separation. His hardline stance raised concerns among the nation's internet-only banks, which are now on a mission to secure more money to stay afloat, but Yoon said the National Assembly should enact a law allowing internet-only banks to attract industry capital. 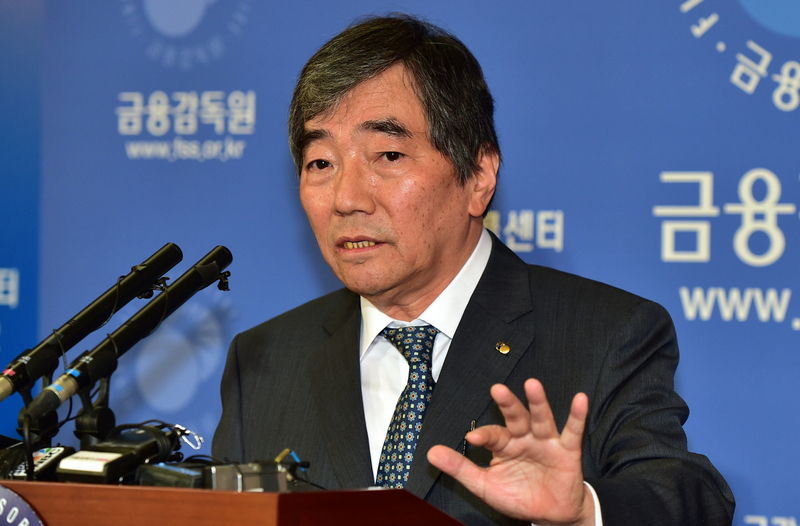 "I believe the FSS is capable enough to contain possible risks in promoting internet-only banks," Yoon said. The Financial Services Commission (FSC) oversees the establishment of financial policies, enactment and amendment of insurance related laws and regulations and the grant of insurance business licenses. The Financial Supervisory Service (FSS) which is the executive arm of the FSC conducts day to day supervision of the operations and financial status of insurance related institutions (insurers, brokers and agents) and supplemental activities for the FSC.